Hi, everyone! 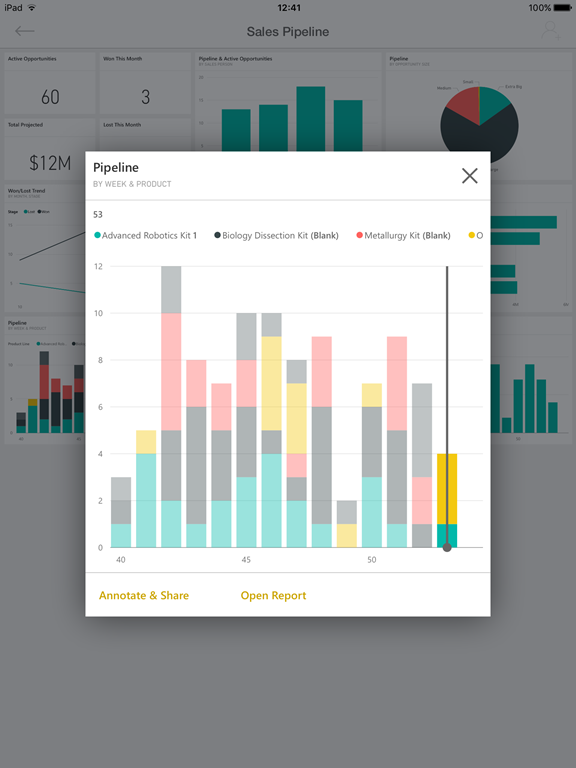 We're happy to share the latest updates to the Power BI Mobile apps. This month, those updates include mobile-specific improvements, such as manual refresh for Direct Query, and adding features to ensure parity across platforms. If you are still not using Power BI Mobile, visit our site and download an iOS, Android, or Windows 10 app from your favorite store. Following your feedback on the Power BI community, we have improved the dashboard refresh functionality. You can now manually initiate a refresh to your tiles by opening the dashboard in the Power BI Mobile app for iOS and pulling down the top of the screen (see the animated image below). When performing a manual refresh, we also trigger a tile refresh. Tile refreshes update the dashboard view, and retrieve the latest data in the underlying model. This means that you can be sure that your device’s screen is displaying the most recent tile data. Please note that dashboards are updated automatically per dashboard owner configuration. Dashboards that are based on Direct Query connections have an automatic update about every fifteen minutes, so triggering a manual refresh will result in getting the latest data from the connected model. Surface Hub presentation mode is now available in the Windows store. When using the new presentation mode in the Power BI Mobile app for Windows 10, all extraneous UI elements (such as the navigation and menu bars) are removed except the report page tabs and filter pane.Use the app to tell the story of your data in a sleek and clear way, and take your audience through the data journey using touch inking and annotations on your reports. Learn more about Power BI app for Surface hub. Favorite dashboards are typically those that you visit most often. You need access to them quickly, even while on the go. 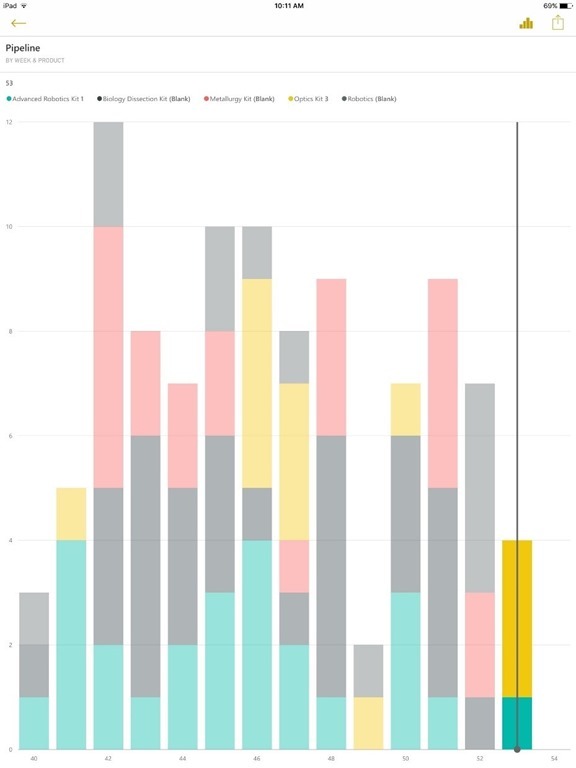 With the August updates to Power BI Mobile, you can access your favorite dashboards from any mobile device, and manage a synced list of favorite dashboards from the iOS and Windows apps (coming soon to Android). 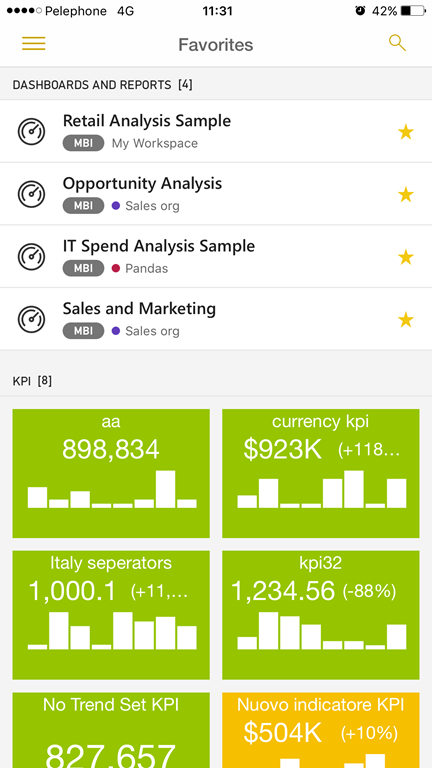 The new dashboard data classification introduced in the Power BI service July update is now available also for Power BI Mobile apps. Tag dashboards with classifications defined by your company’s IT department, and everyone viewing content on their mobile devices will have the same level of understanding around the sensitivity of data. 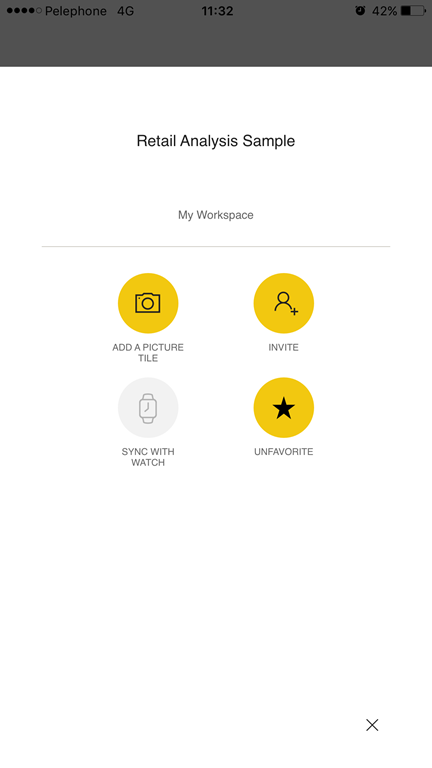 The tile focus mode in Power BI Mobile on iPad enables you to interact with your data, view data points, and explore. With this update, the tile will open full-screen in focus mode, taking advantage of the entire iPad screen size and giving you the best view possible of your data. 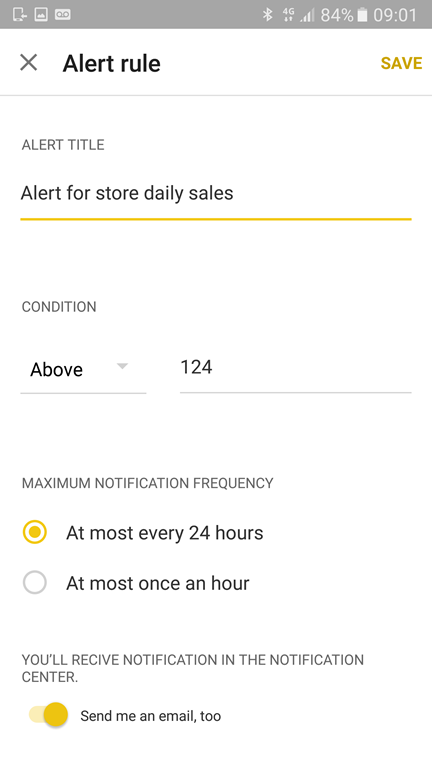 We are happy to announce that the authoring experience for data-driven alerts is now also available on Android and iPad. 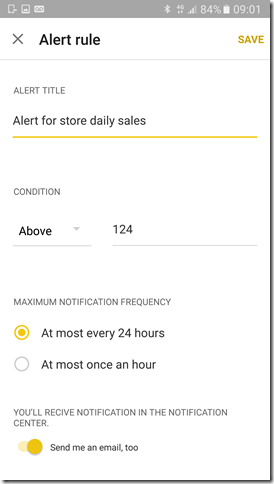 Read our data-driven alerts deep dive to learn more about configuring and using these alerts. 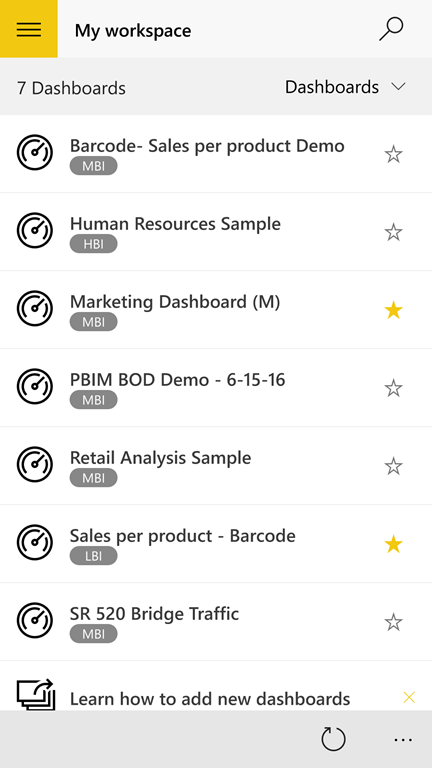 Are you a Power BI mobile advanced user using QR, Geo, or Barcode? The team is looking to learn from your scenarios and stories. Contact us via the Power BI mobile community form or via the Power BI Mobile support mail: mpbisup@microsoft.com.